This past summer I was a UX design intern for Google. I got to work in the YouTube office in San Bruno, CA on YouTube's visioning team! The visioning team is an internal consulting group made up of designers, researchers/strategists, and project managers who work with different teams to craft a future vision for their product. As an intern, I researched, designed, and prototyped a more approachable and valuable experience for high-profile creators on the platform. 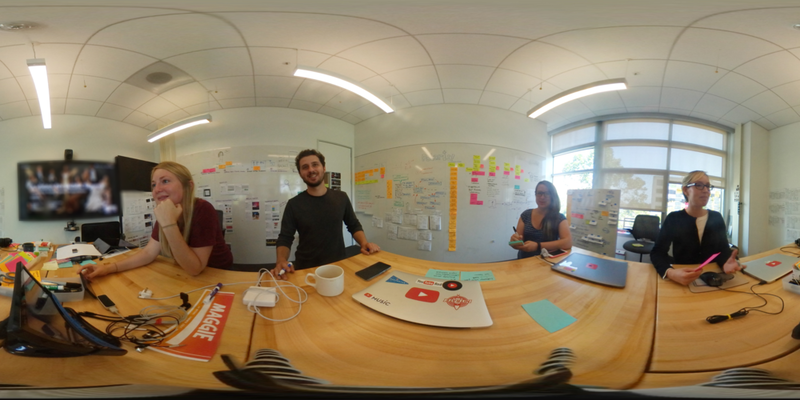 During my summer at Google I also worked on a 20% project with the YouTube VR team, designed 3D printed jewelry for top creator Poppy, and planned and led a digital sketching workshop for the UX team. Unfortunately, due to NDA I am unable to share any specifics until the project launches publicly. If you have questions about my experience, feel free to shoot me a message! Digital sketching has become a valuable part of my workflow as a designer. This summer, I planned and led a digital sketching workshop for the Youtube UX team. In this workshop we covered valuable applications for design sketching in industry, tricks and tips for making communicative and engaging sketches, and a live storyboard demo using the iPad Pro and Procreate. You can check out the digital sketching demo deck I created for the workshop and the accompanying demo handout.